We all prefer quality over quantity. Being aware of the technology, same goes for the products and software we introduce. Getting a superior quality product is what every customer demands. As before, product underwent testing once it got ready, a stage just before the customer received it. But now, with the technology evolution, the process got advanced and products and software are getting verified before they get designed. Hence, saving time, labor and capital. One of the best parts of the testing process is the introduction of Quality Assurance. QA simply verifies, analyses thoroughly that whether the software is meeting the desired requirements or not in the production level itself. QA checks the software, again and again, detecting any sort of bugs, errors, or any failure possibilities. Thereby, playing a critical role in the web development sector and dominating the whole IT sector. 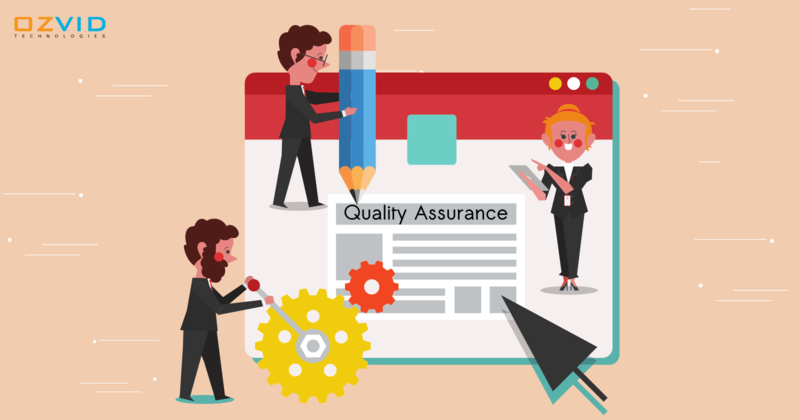 To better understand the role of QA in web development, we need to thoroughly understand the basic elements of QA. Under requirement testing, as the name defines, all the requirements are gathered from the client thoroughly. Once these requirements and other layouts are approved by the client, the testing team compiles it and is put forward for next process. At this point, all the versions, layouts, other aspects as gathered are cross-checked with the actual website. If things match up and get verified completely, it is forwarded to next stage otherwise modifications are made at this stage itself. Regression testing is one of the crucial steps in the testing process. A team of specialists is held responsible to verify and make sure that the errors found are fixed or not. If fixed, do they create trouble for other processes work normally? This testing is carried out to check everything works accordingly and as per the customer requirements, and to make sure that existing code is not affected by the changes made. It even assures that even a minor change made in any of the stages doesn’t affect the working of other processes. This stage of testing is carried out to make sure that the design and display of the whole website are meeting the requirements and layouts as described by the client or not. If the results satisfy, it is put forward to the next stage. Otherwise, changes are made here itself in order to save time, labor, and capital. Functional testing is as important as a test drive. It is carried out to ensure that the functionalities, operations, features, buttons, links are working properly on all browsers from user end or not. Each component needs to be studied thoroughly at this stage, as even a minor link can create a trouble for both, you and your client. Under this approach, the testing stages get divided and allocated to testers for examining further before handing it over to the client. By now, you would have certainly realized that how important and crucial is quality assurance for web development sector and to get a successful web project. Make sure that your website development process fulfills all these stages for best outputs.